One of the most common questions I’m asked is how to recover from a sales call that doesn’t go well. Listen to this episode of The Medical Sales Guru Podcast for some insight on avoiding and dealing with sales calls that don’t go well. 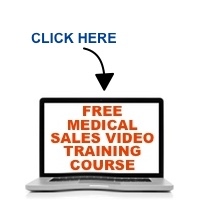 CLICK THE YELLOW BUTTON BELOW TO DOWNLOAD MY FREE MEDICAL SALES POSITIONING RESOURCE GUIDE!